Swansea marked Paul Clement's appointment as their new head coach with a dramatic 2-1 victory at relegation rivals Crystal Palace. The 44-year-old had been appointed only hours before kick-off and was not officially scheduled to take charge until Saturday at Hull, but he came down to the touchline as goals from Alfie Mawson and Angel Rangel secured only their fourth Premier League win of the season. Defeat lifted Swansea off the foot of the table and means new Palace manager Sam Allardyce has taken only one point from three games. Until Rangel's 88th-minute finish, Wilfried Zaha's equalising goal came close to giving Allardyce's own reign some momentum. 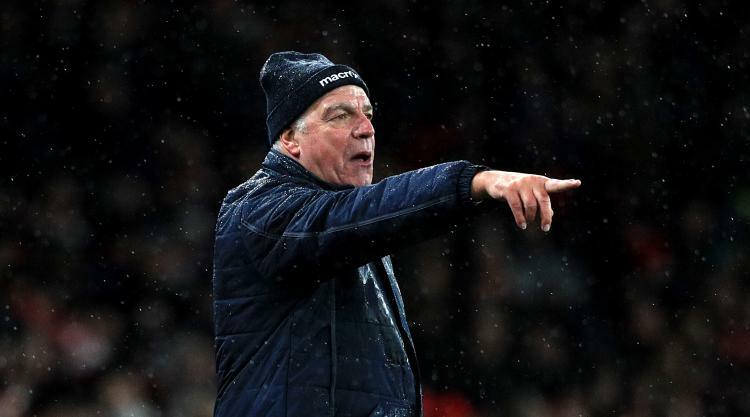 After a poor performance in Sunday's 2-0 defeat at Arsenal, former England boss Allardyce had spoken of the importance of his team securing a vital win against rivals at even greater risk of relegation. He had also spoken of how vital it was they controlled their nerves, but it was as if his players were already not listening to their new manager. The opening 45 minutes featured a Palace team as uninspired and lacking in confidence as any under Allardyce's predecessor Alan Pardew, who were fortunate not to be several goals down by half-time. Only six minutes had passed when Fernando Llorente - whose two late goals secured November's 5-4 defeat of Palace that perhaps contributed much to Pardew's exit - headed just wide of the left post from Wayne Routledge's right-wing cross. In the 17th minute, the Spanish striker led a counter that Jack Cork looked set to score from before poor control wasted his finest scoring chance and allowed Wayne Hennessey to smother his shot wide. Ki Sung-yueng and Federico Fernandez also threatened with further efforts for Swansea, while Palace appeared so lacking in direction it was hard to believe it was a team set up by organisational specialist Allardyce. On only one occasion did the hosts look capable of scoring, and even then - when Christian Benteke went down in the area and appealed for a penalty despite making no contact with Lukasz Fabianski - it came after defensive confusion. The goal Swansea deserved finally came in the 42nd minute, after they had won a left-wing free-kick. Gylfi Sigurdsson crossed into the penalty area, and the unmarked Mawson ran towards his delivery before heading backwards over Palace's wall and into the back of the net. After Benteke was substituted at half-time, and was replaced by Fraizer Campbell, Palace significantly improved. Andros Townsend was also soon replaced by Bakary Sako, and the greater energy they provided led to a similarly one-sided second half. It was likely that that led to Clement leaving the stands to join Swansea coach Alan Curtis in the technical area, but even with their improved possession, for much of the half the closest the hosts came to scoring was when Fabianski tipped over Sako's 58th-minute, curling free-kick. Their equalising goal came in the 83rd minute. From what appeared a routine right-wing cross from Martin Kelly, Zaha brilliantly and athletically volleyed towards the bottom corner. At that point Palace would have taken a draw, but just as at the Liberty Stadium, the concession of another late goal led to defeat. Substitute Leroy Fer chipped a superb pass from the outside of his boot over the hosts' defence and into the area, and fellow replacement Rangel controlled before calmly finishing beyond Hennessey to secure all three points.